The Watershed Watch Campaign is proud to recognize past Watershed Watch partners that helped to make this campaign a reality. The Santa Clara Basin Watershed Management Initiative (WMI) mission is to protect and enhance the watershed, creating a sustainable future for the community and the environment. The WMI is a collaborative, stake-holder driven effort among representatives from regional and local public agencies; civic, environmental, resource conservation and agricultural groups; professional and trade organizations; business and industrial sectors; and the general public. The San Francisco Bay Bird Observatory is a not-for-profit organization dedicated to the conservation of birds and their habitats through research, monitoring and educational activities. Watershed Watch welcomes the San Francisco Bay Bird Observatory as a campaign partner in our quest to protect our community’s watershed and the health and well-being of the residents and environment in Santa Clara County. Keep California Beautiful (KCB) is a nonprofit environmental education organization and a partner of the Watershed Watch campaign. By actively developing and coordinating business, government and public partnerships, KCB encourages grassroots responsibility for California’s environment by promoting cleanup, beautification, beverage container recycling, and waste reduction efforts. We wish to thank Keep California Beautiful for donating gloves, bags, and goodies for Spring Creek Cleanup Event volunteers. RAFT ~ Resource Area For Teachers, is a non-profit organization located in San Jose, California. RAFT serves over 4,500 Bay Area teachers providing them with hands-on interactive learning materials and professional training workshops to use those materials in the school curriculum. RAFT enriches the learning experience of nearly 800,000 children in the Bay Area each year. In addition, over 170,000 cubic feet of reusable material are saved from landfill each year. The mission of the Watershed Project is to promote understanding and appreciation of the natural resources of the San Francisco Bay Area; increase awareness of the human impacts upon these resources; and inspire community involvement and action that will protect and restore the Estuary and the watershed that surrounds it. Watershed Watch welcomes the Watershed Project as a campaign partner in our quest to protect our community’s watershed and the health and well-being of the residents and environment in Santa Clara County. 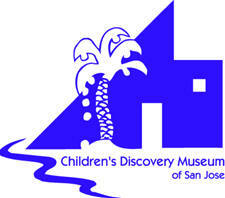 The Children’s Discovery Museum of San Jose serves the needs of children, families and schools as a center for learning and discovery. The Children’s Discovery Museum teaches watershed education and provides a hands-on learning exerience through their BioSITE program. United Neighborhoods of Santa Clara County is a coalition of neighborhood associations from throughout Santa Clara County that have come together for the purposes of education, communication and common action. This “can do” attitude will be invaluable as our new partner, UNSCC, joins us to help protect our community’s watershed and the health and well-being of the residents and environment in Santa Clara County. Gilroy Gardens, a 501(c)(3) non-profit organization, is California’s only horticultural theme park designed for garden lovers as well as families with young children. The Park features over 40 rides and attractions, including majestic gardens, educational exhibits, and the world famous Circus Trees. In addition to learning about watersheds, guests can learn about bees, trees, butterflies and countless other environmental resources while enjoying great rides and attractions throughout the park. Gilroy Gardens, is open April – October and is located in Gilroy, CA on Hwy 152 (West) just off Hwy 101. Watershed Watch welcomes Gilroy Gardens as a campaign partner in our quest to protect our community’s watershed and the health and well-being of the residents and environment in Santa Clara County. Since 2003, the Bay Area’s pioneering native garden tour has showcased gardens featuring California native plants. This community-based tour is free of charge to the public upon successful registration. Each tour features about 45 gardens, most of them private home gardens, which are open on tour day for viewing by the public in a do-it-yourself, open house format. The goals of the tour are to demonstrate reduced water use, reduced chemical and pesticide use, improved habitat, and the unique aesthetic appeal of gardens designed with California native plants. The San Jose Conservation Corps is a youth education and job-training program in San Jose . The Environmental Projects Department provides entry-level positions for all new trainees. Following a one-week orientation program, the new trainees are assigned to one of 6 Field Supervisors and a crew of 12 young people. Together, they work throughout the South Bay on environmental and community projects provided by sponsors including the Cities of San Jose, Los Altos , and Campbell , the County of Santa Clara , and the Santa Clara Valley Water District. The SPCWC mission is to engage the community in wise stewardship of our watershed, furthering the protection, restoration, and community appreciation of creeks and associated habitats. SPCWC is a collection of community residents, city representatives, agency officials, scientists, environmental advocates, and other interested stakeholders with a common vision for a better watershed. All community members and interested parties are invited and strongly encouraged to participate! We offer a variety of volunteer opportunities so you can take action and make a difference where you live.